1300 years ago what was a myth became a legend. 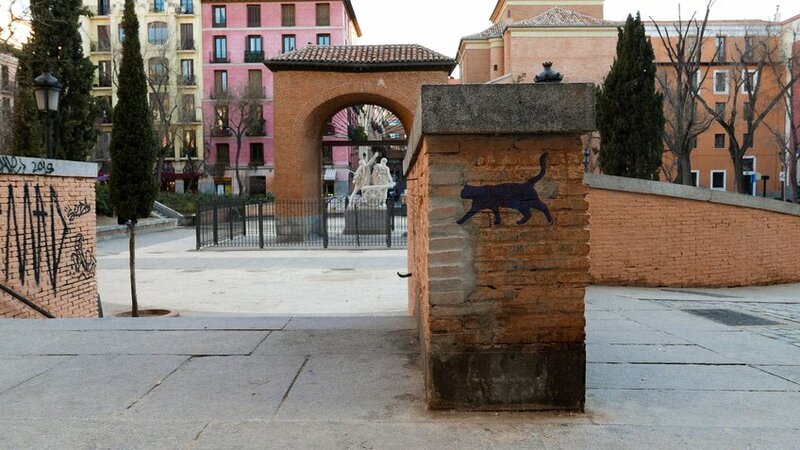 A young revolutionary climbed the capital's walls and opened the gate that started the Spanish reconquest. 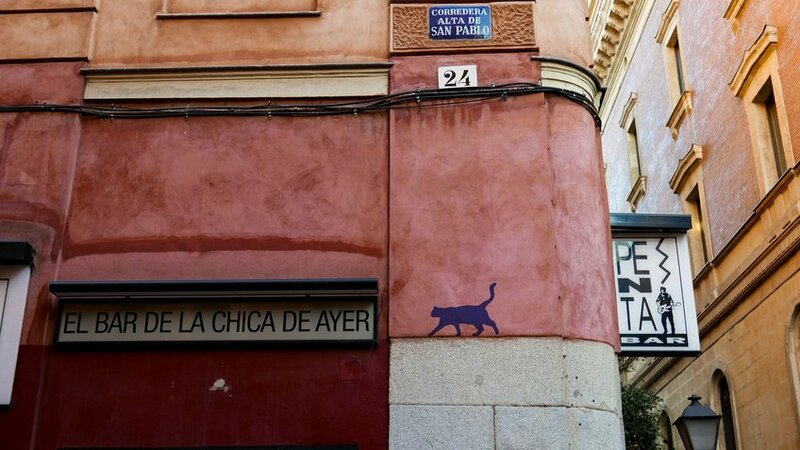 Nobody knows his name but his nickname became a legacy: Gato (cat in Spanish). 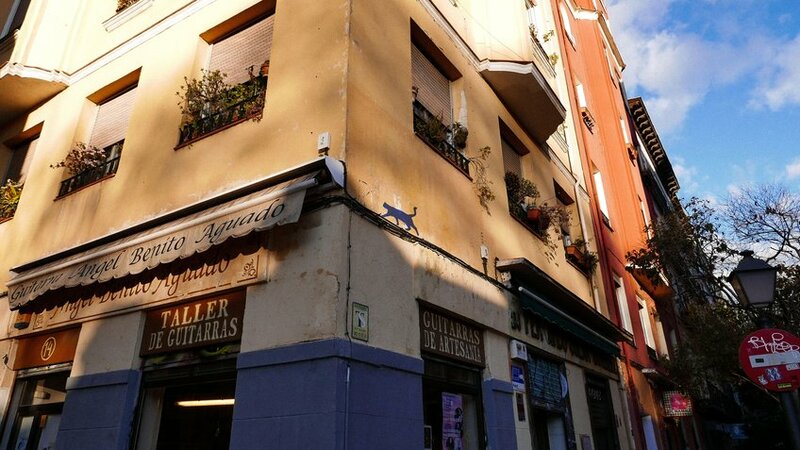 Since then people born and raised in Madrid started being called Gatos. We created stickers of a cat´s silhouettes. 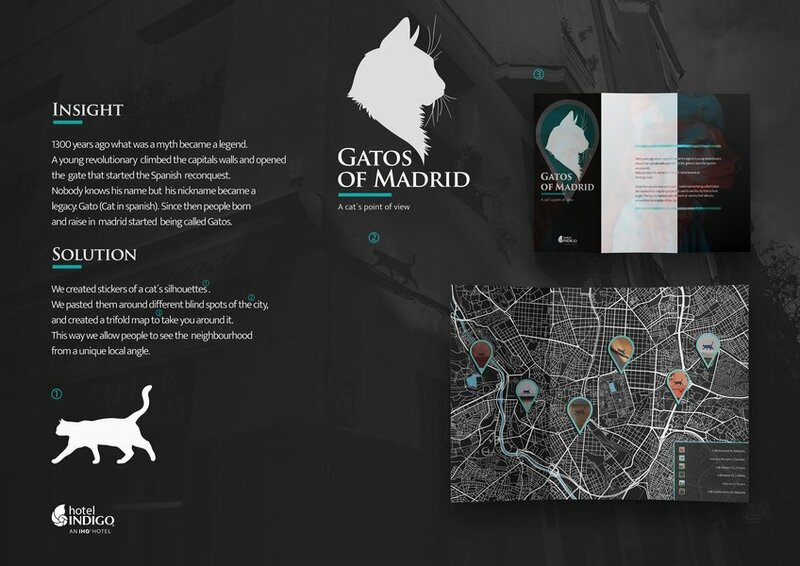 We pasted them around different blind spots of the city and created a trifold map to take you around it. This way we allow people to see the neighbourhood from a unique local angle.